Yesterday was the birthday of my blog. Three years already that we are together and more than 36.000 visits that we have received. Life has changed since then... so much! Or better said: we have changed, my blog and I. I use this space however I feel like: no filter, no big ambition, no structure... and it makes me happy to keep it that way. It is just what I want it to be. Each time different, because each time I feel different. Today I just looked back into the archive and I discovered two funny things. One is that, when I made the first blog-anniversary-post, I did it one month before it was supposed to be. The second is that, at the time of the "second blog anniversary", I completely forgot it and didn't do any special post. Instead I posted this, which is a great post, by the way. Now I am in the third chance to do a blog-anniversary-post and I am more aware of it than ever. Perhaps I am more aware in general about my life. I am more settled down and more sure about the lifestyle I want to have. Living where I want to live with the person I want to be, doing exactly what I desire to do. I am making a family and, therefore, building a future. When I think about it I am surprised of how much I have grown in the last three years. When I started this blog I was a joyful, frivolous girl. Now I am joyful and frivolous too, but I don't think I am a girl anymore. I feel that I have become a women. A mature women who make conscious and thoughtful decisions. 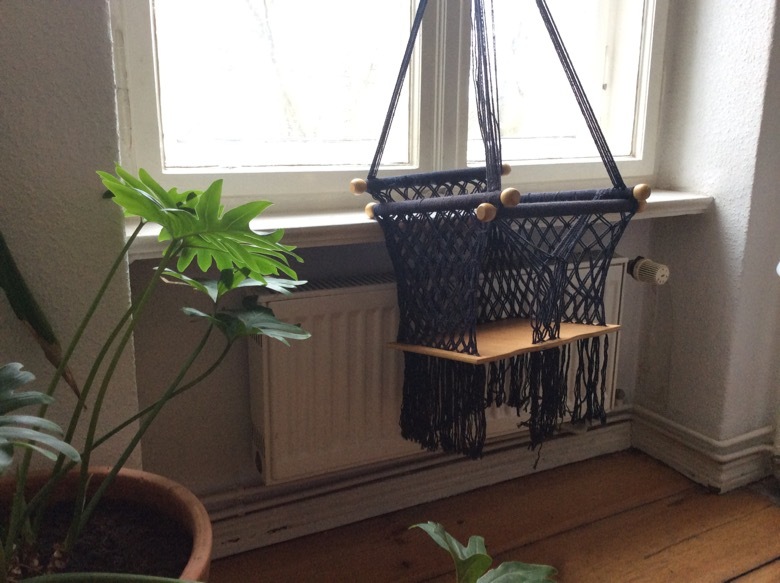 Like becoming mother: it wasn't casualty of life, it was a choice Manfred and I made. Of course, I still have so much to experience and to learn about growing older (keeping the soul young). I still have to realize important task in my life like, for example, eventually getting a real job. But I don't need to hurry for anything because, if there is something I have learned, it is that I need my time and rhythm to do things properly, to make the right choices. I have learned too that we live life in a illogical and stressful hurry and that certain happiness only comes when you get slower and more patient. This is the kind of happiness I want to provide to my daughter: a vibe of security based on having a relaxed soul that gives space to the mind to think in a clear and pragmatic way. As you see I am feeling peaceful today. The little one inside of me is being especially active and we were playing to press each other, having some kind of tactile interaction. In the morning I skyped with my sister and it was a great two hours conversation. At midday I had a lovely lunch time with Manfred (we are lucky, his office is just 10 minutes walking from home). And, as a final sweet event of the day to add to the other good stuff, I received a box from Spain full of nice things. I actually made the box myself, back in Christmas, so I knew what was inside. But for different reasons I couldn't realize the sending until few days ago, so when I opened the box I was surprised and pleased once again. The majority of things are Christmas presents and personal objects of mine that were still in my mother's house. There was also one present from a friend that was added to the inside of the box once I was already in Germany, so there was also something new and unknown to discover. It really felt like Christmas again, a springtime Christmas happiness. I chose some of the items from the box to show you. Some are chosen because they are meaningful. Others because they are beautiful or cool. All of them make me happy. It's great to be surprised by the same thing more than once, isn't it? Especially when it's by something good. 1. The unseen Christmas present and its packaging. 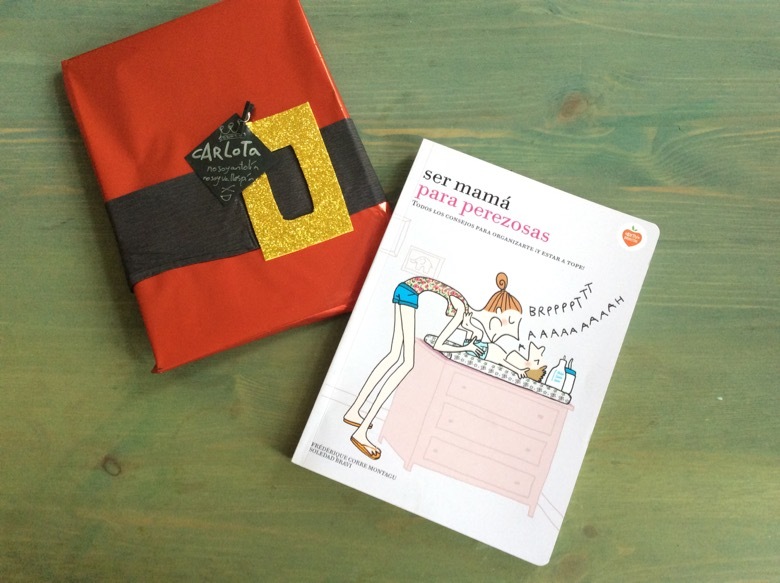 A book called "To be mother, for lazy ones". Really useful and funny, perfect for me. The witch-inspired covering, perfect too. 2. 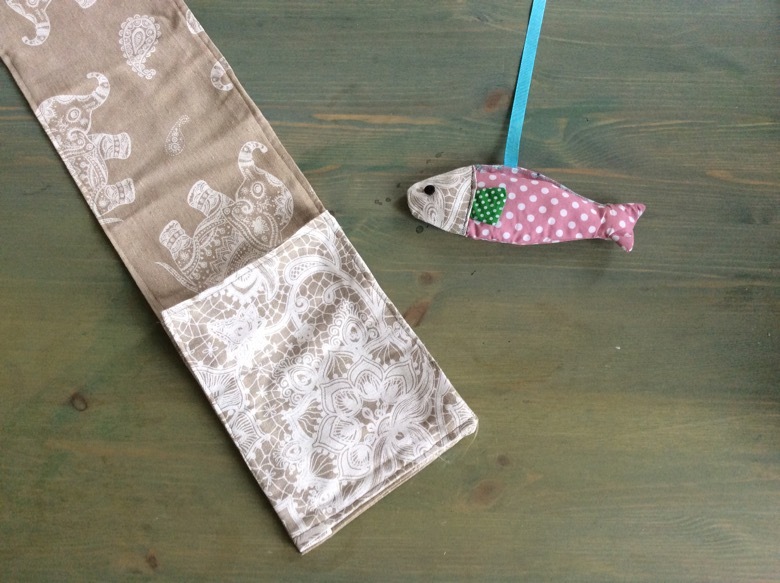 A cute fish and a cute pocket for the tv remote control, to hang from the arm of the sofa (we don't have tv but it is great for Manfred's e-cigarette). Both are handmade by Inés, a cousin of mine. You can see here which other cute stuff she makes. 3. 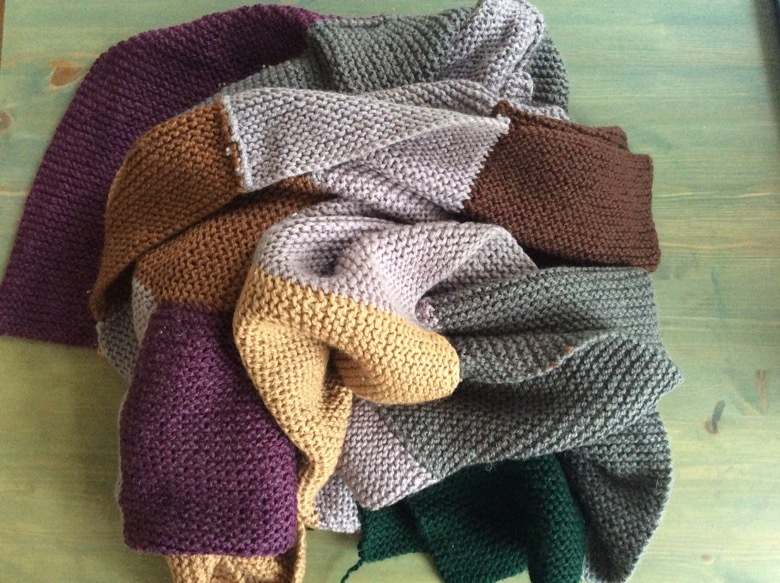 A blanket of perfect colours. Knitted by Marta, a sister of my grandfather. 4. The favourites ones from my book collection. -"Faeries" by Brian Froud and Alan Lee. The best fairy book ever made. My bible as a child. -"Hundertwasser" by Harry Rand, editorial Taschen. My bible as a young girl discovering myself. Friedensreich Hunderwasser was my philosophical and artistic idol. 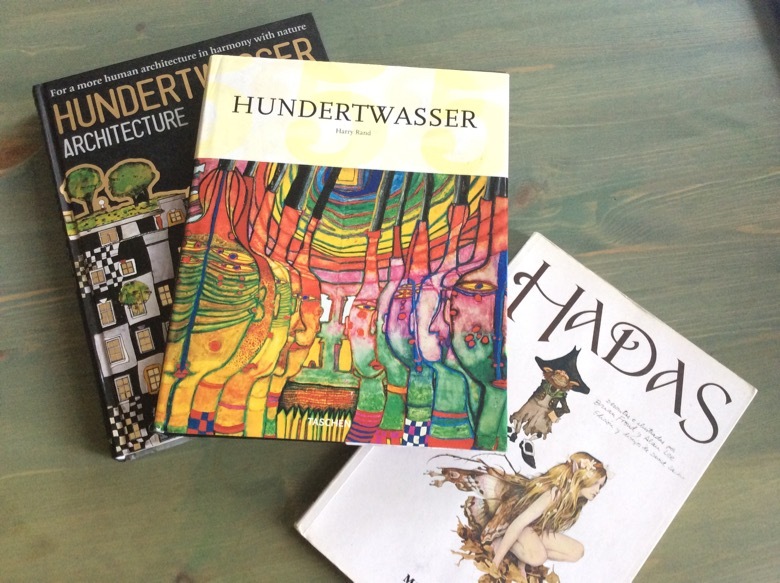 -"Hundertwasser, architecture" editorial Taschen. I bought the book when I was in Vienna working as a babysitter and visited for the first time the "Hundertwasserhaus". 5. 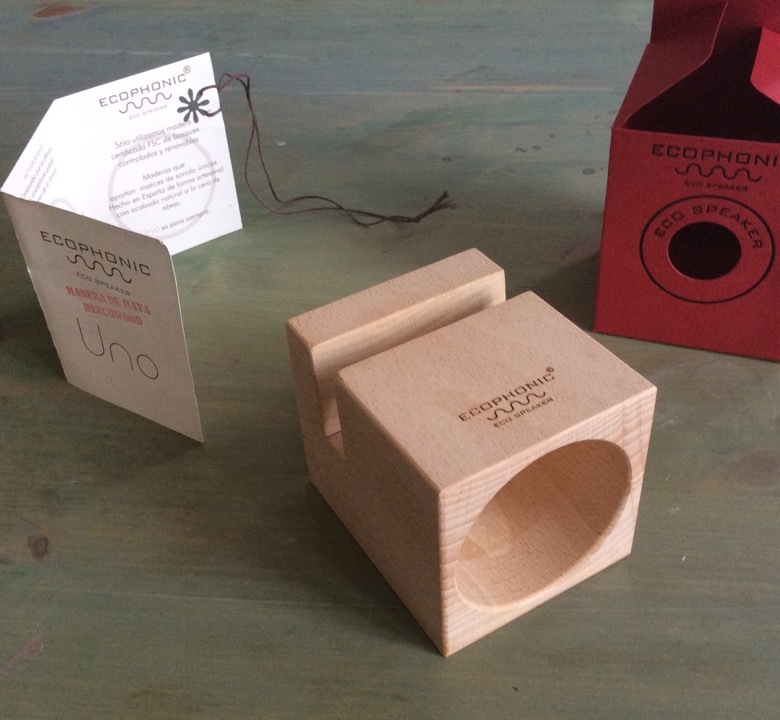 An analog loud speaker for the mobile phone. Made ecologically and with no need of electricity. 6. Goodness from Spain. 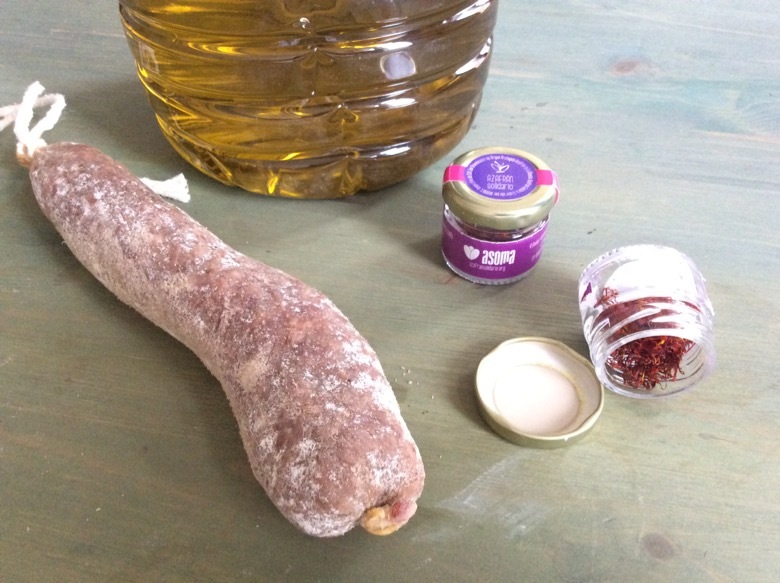 Five litres of virgin olive oil, delicious Spanish sausage called "salchichón" and saffron from "la mancha" (which have non comparison in aroma with saffron from other places). 7. A swing from Guatemala, for my little one. Brough personally by my best friend Maria.